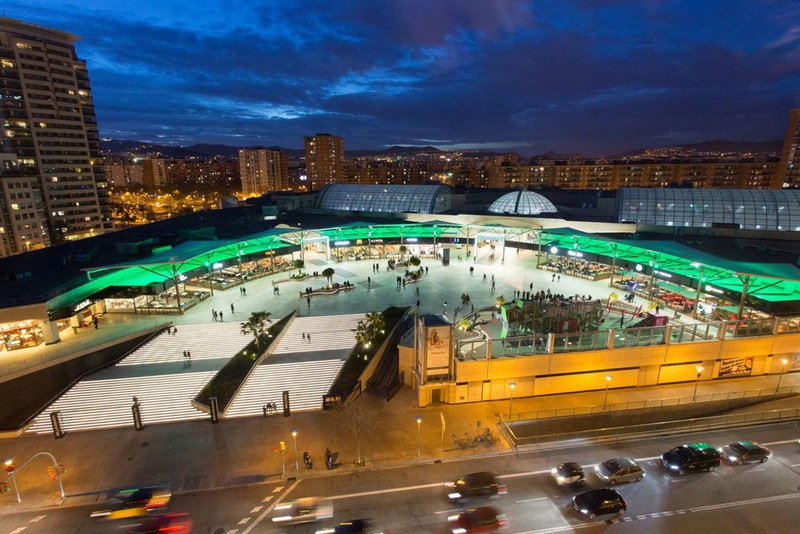 The architectural refurbishment targeted the unification of the restaurants logos through integration into a black glass banner, the limitation of the restaurants terraces through planters and the incorporation of a tall slanted canopy so that the terrace, located above street level, could have more presence, among other improvements. 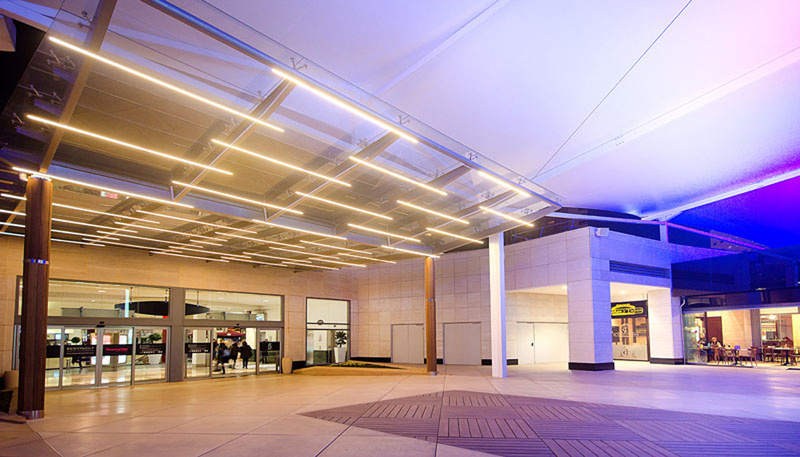 The lighting strategy is the use of the canopy, a white stretched fabric, as reflector to create the ambient light as all lighting shall be perceived to be provided by this feature while leaving the square free of vertical elements of any kind. 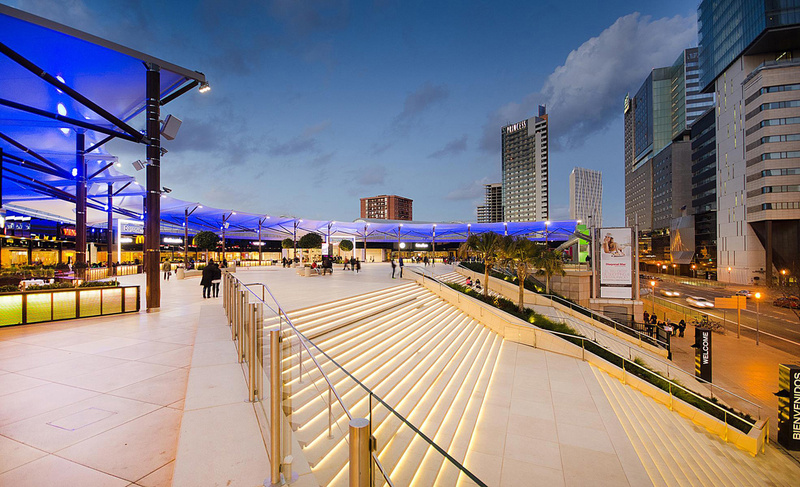 RGB LED wallwash the canopy, shielded spotlights integrated at highest part of canopy provide floodlighting of square, LED channels within wooden planters provide delimitation of restaurant zone and benches within plaza are light from below to make them float. 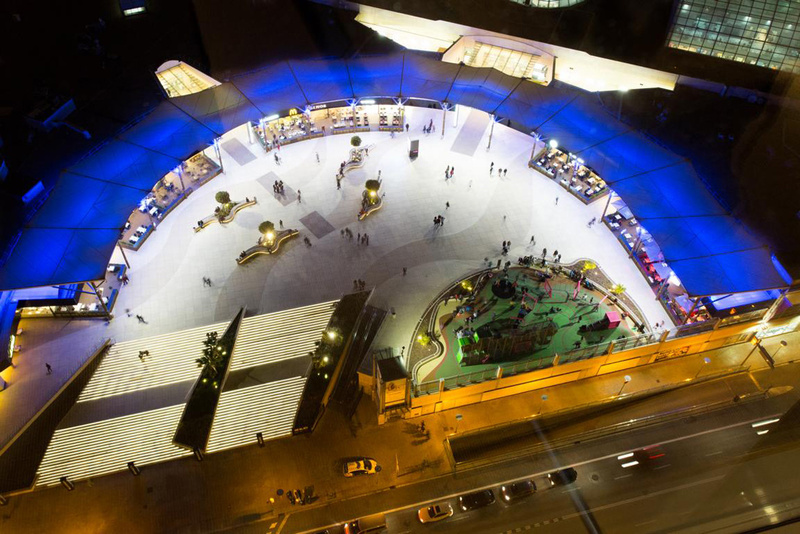 The center of the plaza is kept with the lowest lighting levels, while the areas closer to the restaurant on terraces are the brighter ones. 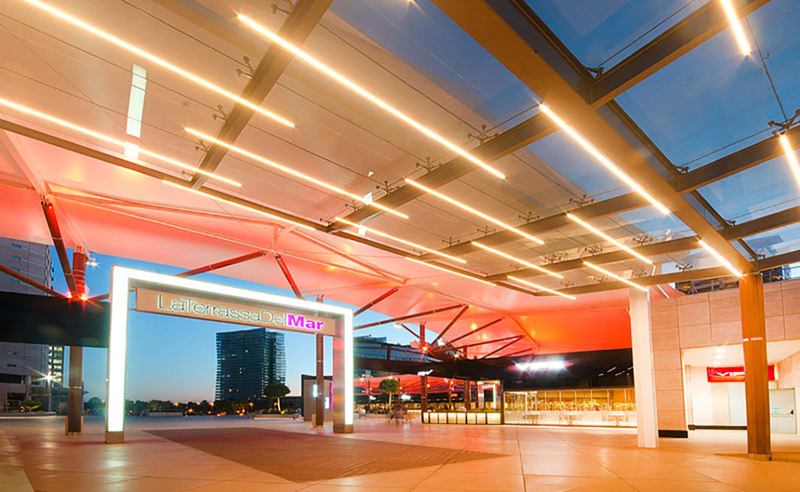 The visibility is generated from the street through the uplighting of the canopy as well as the led channels located at all stairs at entrance. 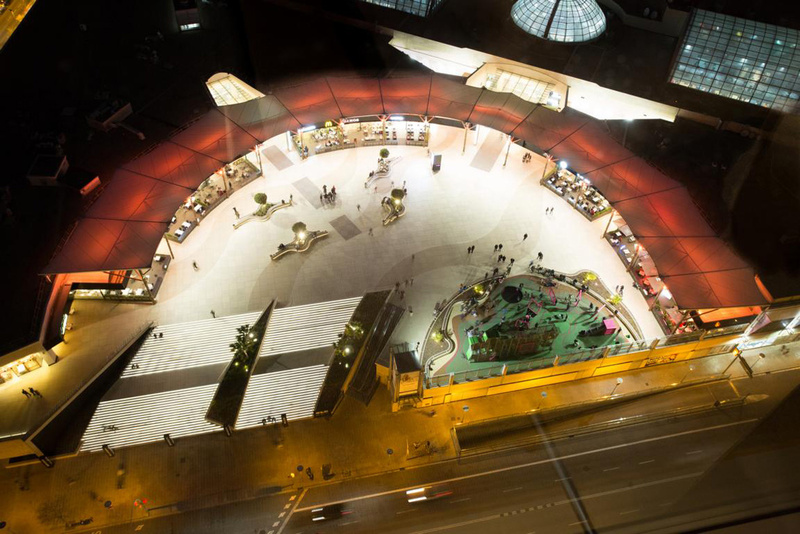 The project counts with a dimming system with astronomical clock allowing for the right amount of light at each time of day.